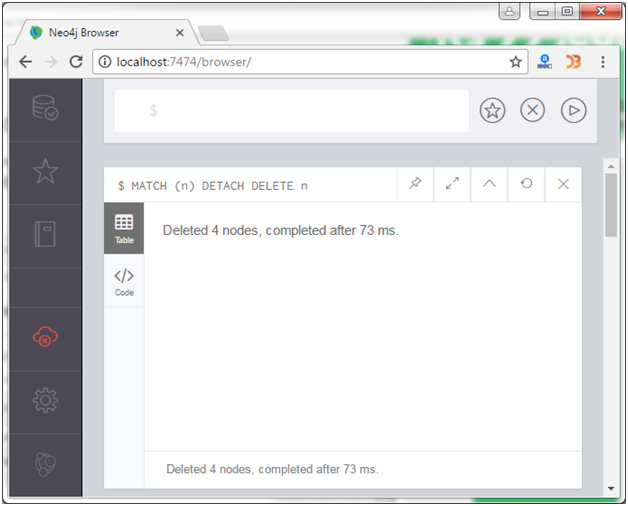 DELETE clause is used to delete a node or a relationship in a Neo4j database. If you want to delete a specific node then you have to specify the details of the node in the place of "n" in the above query. Now delete the above created node using the DELETE clause.